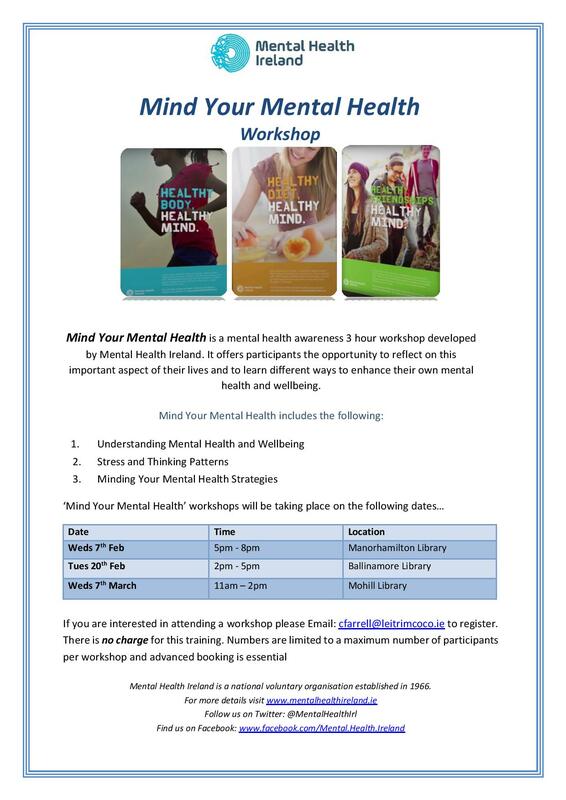 In association with Leitrim County Council Library Service and Healthy Ireland, Mind Your Mental Health workshops will be held throughout the Spring. Mind Your Mental Health is a mental health awareness workshop developed by Mental Health Ireland. It offers participants the opportunity to reflect on this important aspect of their lives and to learn different ways to enhance their own mental health and wellbeing. Aware Support Groups – Volunteer Facilitator Move Your Mood!